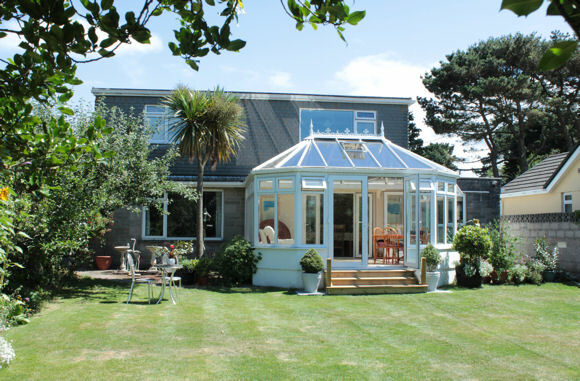 Seven is a family business offering quality, friendly and comfortable Bed and Breakfast within the village of Mount Hawke, Truro, Cornwall. 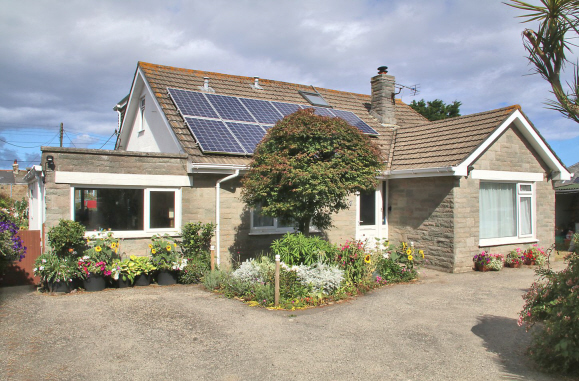 A quaint Bed and Breakfast hideaway in Cornwall located on the spectacular North Cornish Atlantic Coastline, which is an area of "Outstanding Natural Beauty". 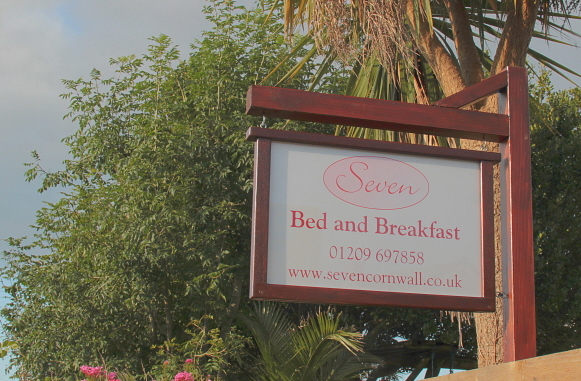 Seven is the ideal base to visit Cornwall a "home from home" ethos ensures everyone has a wonderful stay whether on holiday, visiting friends relative or working in the area surrounding Mount Hawke, Truro. Rachel, James and Charlotte will always give a warm welcome when you stay at Seven (Bed and Breakfast). We provide bed and breakfast in beautiful surroundings with high standards of comfort, style and elegance. A delicious home cooked breakfast using locally sourced ingredients provides a sumptuous feast to start the day. 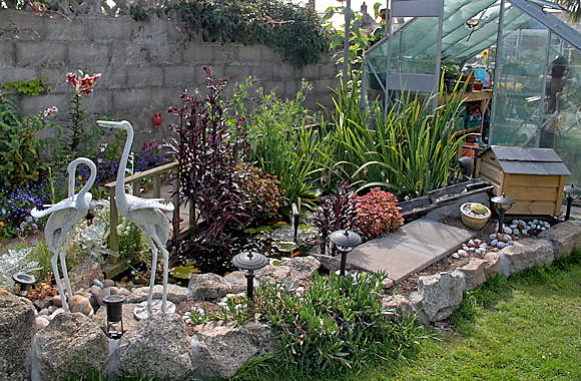 The mature cottage garden and pond offer a restful area to relax and enjoy the sunshine in Cornwall. Seven offers a double bedroom with en-suite facilities and a twin bedroom with en-suite facilities, both on the ground floor with off road parking. Open all year! Copyright © Seven, 7 Roddas Road, Mount Hawke, Truro, Cornwall, TR4 8DX, U.K.